• Dr. Scionti is the former Director of Prostate Cancer Ablative Surgery at NYU Medical Center. Why did Dr. Scionti choose HIFU? Attention Medicare Patients! Watch this video for important news! The most experienced Prostate Cancer HIFU specialist. Former Director of Clinical Education and Training for USHIFU and SonaCare Medical. Dr. Scionti, a board certified urologist, is globally recognized for his advanced prostate cancer diagnostic methods using MRI and Artemis MRI fusion targeted biopsy. He has pioneered advances in HIFU treatment that have resulted in better cancer control with fewer side effects. 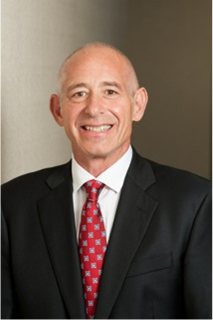 Dr. Scionti is the Founder and Director of the Scionti Prostate Center in Sarasota, Florida and National Medical Director for Vituro Health. Check out Dr. Scionti's new blog articles! The Scionti Prostate Center Approach: traditional diagnostic methods define every patient’s disease the same way. However, every single patient is unique. Many patients have a small, slow-growing cancer with favorable genomic properties. I think of this as a “lamb” because it requires either monitoring (Active Surveillance) or minimal therapy and is unlikely to progress to life threatening disease. On the other hand, if a man is diagnosed with a disease characterized by a higher Gleason score and a poor genomic profile indicating that it is faster growing and more aggressive, or what I call a “tiger”, a more aggressive total gland treatment is required. We accurately identify the disease, and we develop the most effective treatment with the least impact possible on quality of life. The Scionti Prostate Center provides your personalized pathway to prostate cancer care. Personalized Precision Diagnosis leads to Personalized Precision Care. Financing is available through our partner Prosper! Prosper Healthcare Lending is the premier financing company in the healthcare industry. With over $5 Billion borrowed and over 250,000 people empowered, this is a name and a program you can trust. Immediate decisions without affecting your credit! Ready to start your road to recovery? Contact us today, we’re here to help. HIFU is approved in the United States by the FDA for prostate ablation. 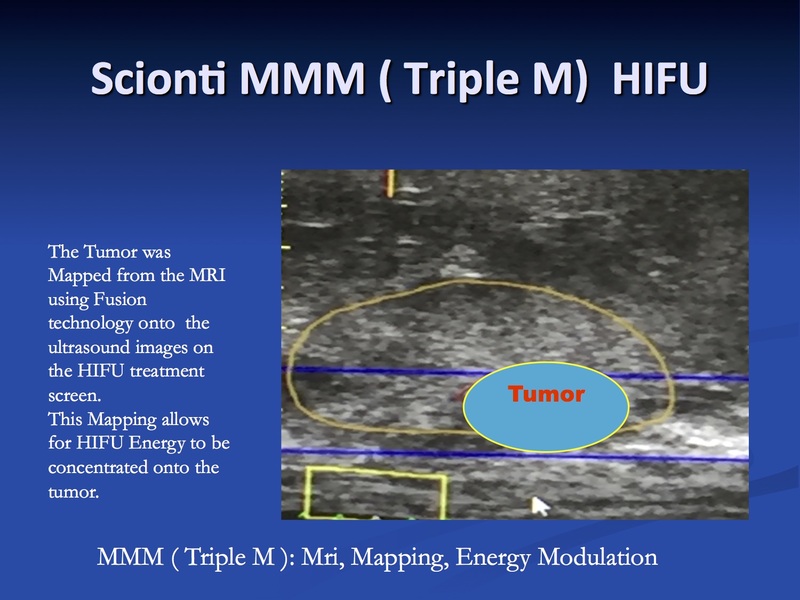 Advanced MRI guided prostate ablation with HIFU is available in Sarasota at our center of excellence. Don’t trust your prostate cancer treatment to doctors who are “new” to HIFU or who do not use MRI image guidance. Please note that Medicare now provides partial reimbursement for HIFU treatment. Call us to learn if you are a candidate for HIFU treatment.